The shelves lining the back wall of the lab have been mostly occupied with large cedar boards from the Middle Kingdom outer coffin of Ahanakht. 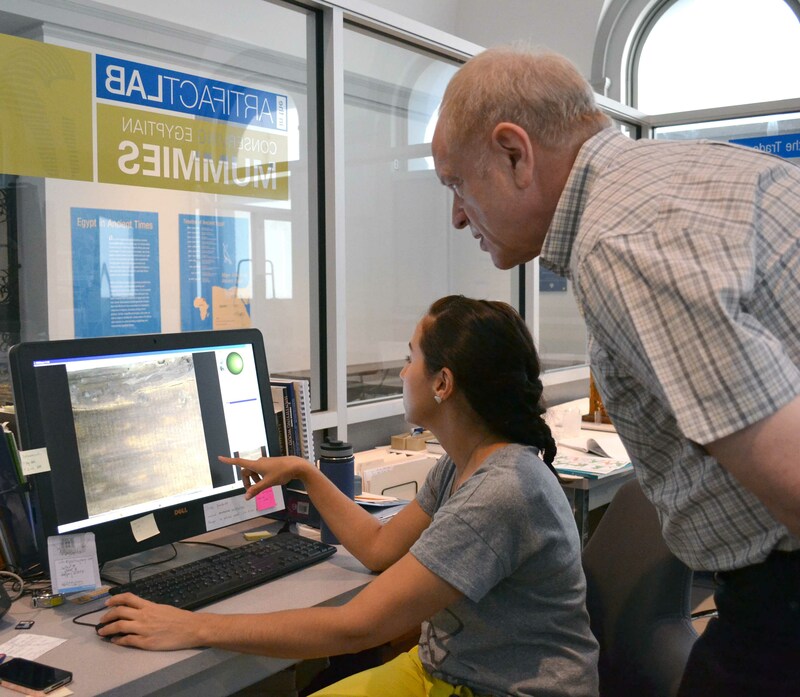 We’ve written about this coffin before here, here, and here, and we’ve spent a lot of time in the lab examining, conserving, and studying the boards, alongside the Curator-in-charge of the Egyptian Section Dr. David Silverman and his graduate student Leah Humphrey. Since the boards have been documented and conserved, they are moving off-site temporarily to make room for “new” things to come into the lab. 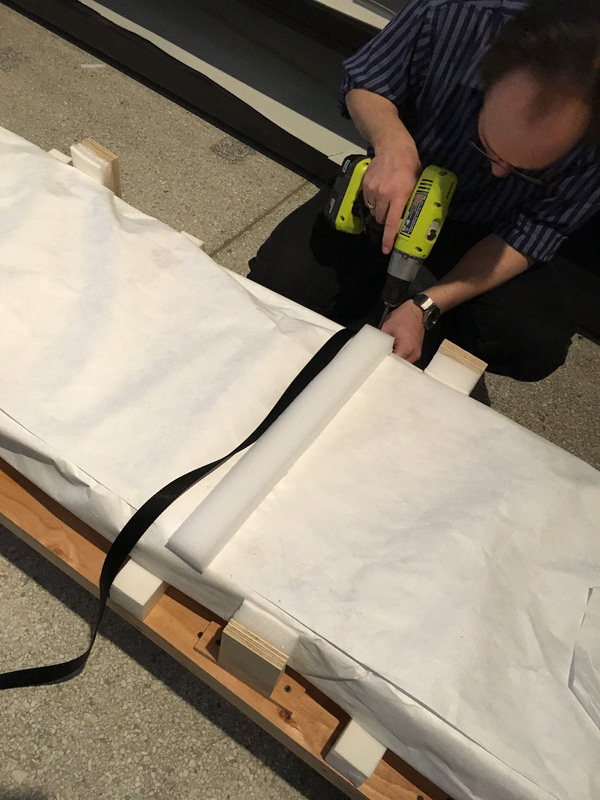 These “new” pieces are actually being deinstalled from our Secrets and Science and Mummy Galleries, in order to retrofit those galleries to ensure that they will be secure during the construction project happening next door at the Hospital of the University of Pennsylvania (HUP). 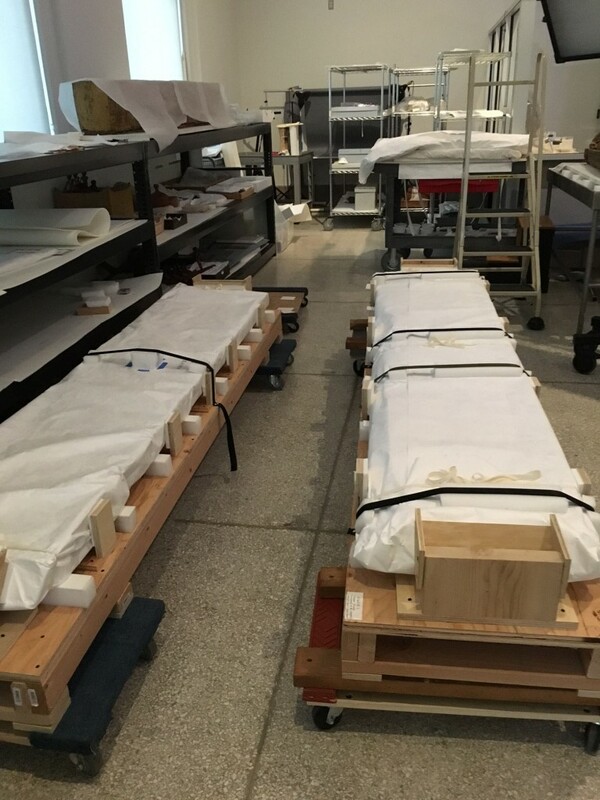 Some of these objects and mummies will go back on display shortly, but need to be examined and conserved first, so they will be worked on in the Artifact Lab in the next few weeks to allow for reinstallation. Details about the construction project at HUP and how it is affecting our museum have been described in some recent news articles, which you can find by following links that I’ve included at the end of this post. Note, this photo above was taken after day 1 of deinstallation; there will be more coming into the lab in the upcoming days. We’ll post more about some of these “new” artifacts and mummies as we work on them in the next few weeks. 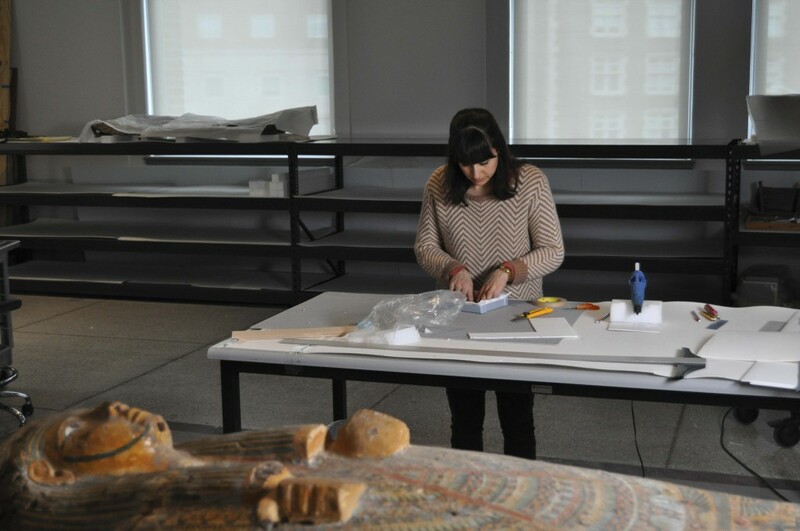 This entry was posted in Egyptian storage move, In the News, Objects In the Artifact Lab and tagged Ahanakht, collection move, deinstallation, Egyptian move project, Hospital of the University of Pennsylvania by mollygleeson. Bookmark the permalink.